Hi. I want to hear your opinion on that. Do you think that the price of the Rv mk2 will actually rise up in a couple of years/decades? I actually think there is a chance that the Rockerverb series will become legendary bc even now they are a classic in alternative/nu metal world(e.g. Jim Root, Brian Welch, Limp Bizkit or Skindred use them). No I don't think so and definitely not in a couple of years.....I think the Mki may have a better chance in a few decades time but the mark II? 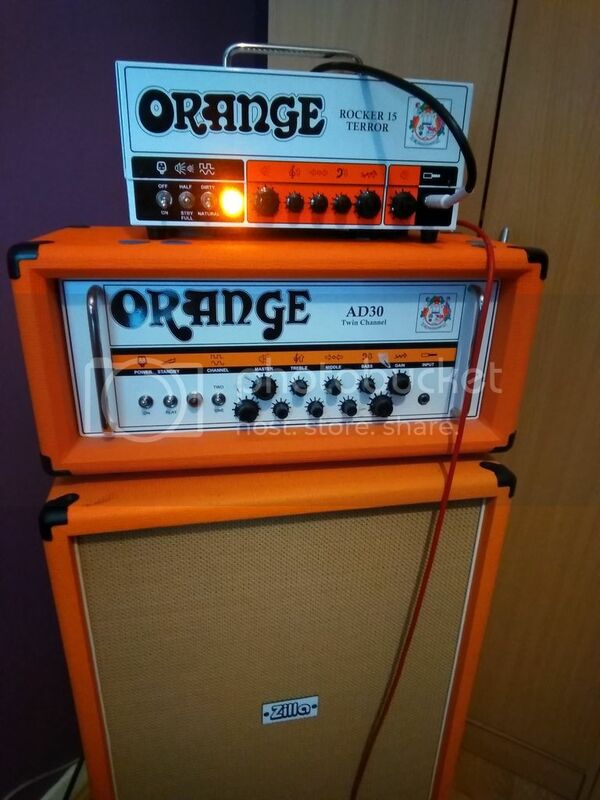 Orange amps generally have low second hand resale values, if you buy second hand then fine but they depreciate a lot from New plus is the mark II such a classic? that it will increase in value, I can't see it... The mkiii has better features and the mk i is the original model. Strongly disagree aswell. I had an MK1 and tried the whole "NO LONGER MADE, GETTING HARDER TO FIND, COLLECTORS ITEM" thing when I tried to sell it. No one cared. Only people with a special connection to the amp will have half a 5!@#. The only amp I would overpay for is a Rocker 30. Now if you keep it for another 50 years in showroom condition you might have something special on your hands. I can't see the MKII becoming a collector's gem. The RV100 MKI and MKII are near identical, but the RV50 MKI with its 6V6 valves is a bit special. Then the MKIII, with the pics only and added features probably edges it.